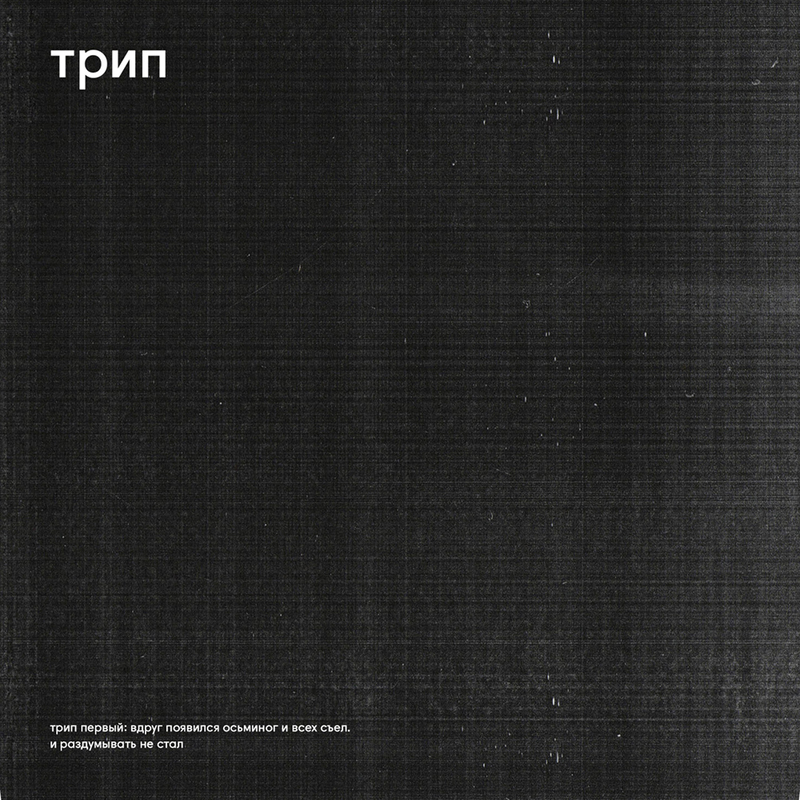 B1, “IMPRV” by Nina Kraviz, contains the familiar liquid vocal sample with its breathy echo, but it’s the bouncing, demanding groove that grabs the attention here. The kicks are more forefront than many of her productions, and if you listen carefully you can hear a full and beautifully arranged melody way, way out in the background. Part way through, a skittering hihat introduces a pulsating, scribbling sample as the vocals drop an octave and the groove intensifies – this is aimed straight at the dancefloor and delivers on every level. For the other tracks on offer, Exos provides some clinical hypnotising techno in the form of “Nuclear Red Guard,” cranking up the BPMs and showing absolutely no mercy. Steve Stoll turns out some deep rolling bass and unsettling synth on “Pop Song” and Bjarki adds an element of the schizophrenic with a delightful tapping/whistling sample in “Polygon Pink Toast”. Overall, this EP provides a great introduction to Trip’s direction. There is clearly a desire to provide a platform for more established artists as well as up and coming ones, there is a definite sound emerging from most of these tracks. It will be interesting indeed to see what happens with future releases – this is a very promising start. This entry was posted on January 17, 2015 by Death Techno. It was filed under DT:Reviews and was tagged with Beatport, Bjarki, Driving Techno, DTR, Exos, Hypnotic Techno, Juno Download, Nina Kraviz, трип, Parrish Smith, Population One, review, Steve Stoll, techno, techno review, techno reviews, The Deviant Octopus, Trip, TRP001.